Greetings of peace and many blessings for this time of holy days! We hope that within the busyness of this time, we will all find time for quietness, inner peace and the reflection needed for inner transformation to face the challenges required by the times we are living in. Our next activities and newsletter will be in February 2019. However, there are some items which are important to note. Hobart will celebrate Diwali (Deepavali) on Friday 9 November from 4:00pm – 9:00pm at Franklin Square. 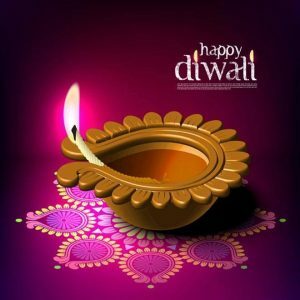 Diwali is a festival of victory of light over darkness; it is observed in Hinduism, Jainism, Buddhism and the Sikh religion. The word ‘Deepavali’ literally means ‘rows of lamps’. The lamp is not merely the symbol of knowledge of Truth, but also of the one Spirit that shines in all. Buddha-Heart Fellowship conducts meditation, compassion and healing every Sunday at 1:00pm at Zen House Studio, 100 Main Road, Penguin. Religions for Peace Tasmania will be specially supporting two events this month, the AGM of the Australian Religious Response to Climate Change AGM (Please note the correction to the date!) 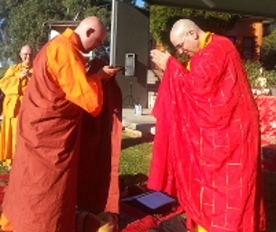 and the Symphony of Peace Prayers at Windsong, initiated by Byakko Shinko Kai. Many good wishes for a peaceful, happy and successful new year in 2018! UN World Interfaith Harmony Week will occur in the first week of February 2018. 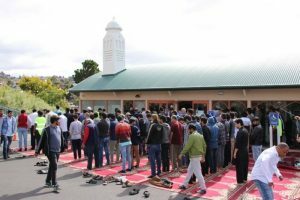 As part of honouring the week, Religions for Peace Tas and the Multicultural Council of Tasmania have combined resources to bring a young couple from Melbourne to share their experience and their expertise with us. Nivy Balachandran, Regional Coordinator of United Religions Initiative and Executive Member of Religions for Peace Australia, is a recognised young leader of interfaith and intercultural affairs and works in the area of conflict transformation and cross cultural communication. She will be joined by her husband, Tal Meretz. Nivy belongs to the Hindu faith and her husband is from the Jewish faith tradition.